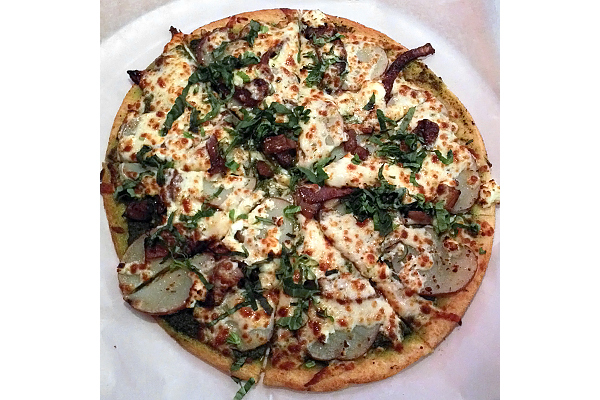 Extreme Pizza, true to its name, thrives on some extremely unusual pizza combinations. The Peace in the Middle East replaces a tomato sauce base with hummus. The Paia Pie adds mandarin oranges to the typical Hawaiian pizza. The Mr. Pestato Head incorporates roasted potatoes into its cheesy pesto mix. The Baja 1000 is essentially a giant taco with black beans on a pizza crust. All a little odd on paper but extremely delicious in practice. This is pizza fusion at its finest. Extreme Pizza also has a full gluten-free menu, featuring crust from Still Riding. This is some of the best gluten-free pizza crust around, as it strikes the perfect bean, rice, and tapioca flour balance. Topped with any of the extreme combos or even standard pepperoni, you can’t go wrong. Even better, Still Riding is run by gluten-free folks who invest in the community by providing training and advice to restaurants. 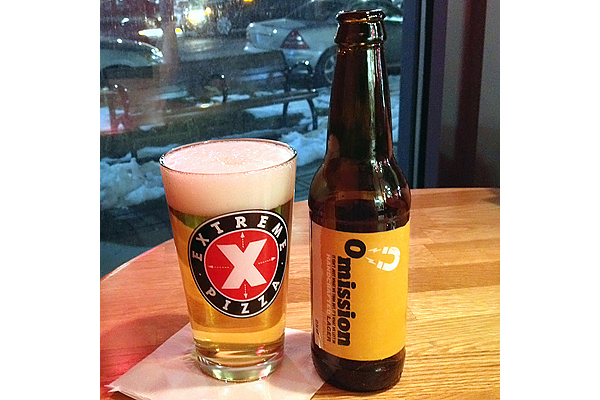 For your drinking pleasure, Extreme Pizza also offers Omission beer. Omission has received a ton of press for being not a gluten-free beer but rather a gluten-removed beer. The brewery uses barley malt, which is later removed via a proprietary process. Imbibing Omission is definitely a personal decision for celiacs and gluten-free eaters, depending on individual tolerance. This celiac can’t wait to return for another Omission and another, perhaps even more extreme, pizza! How did we get there? Extreme Pizza is a national chain with locations from California to Kentucky to New Jersey. Check to see if there’s a location near you, and be sure to confirm that the gluten-free menu is available.